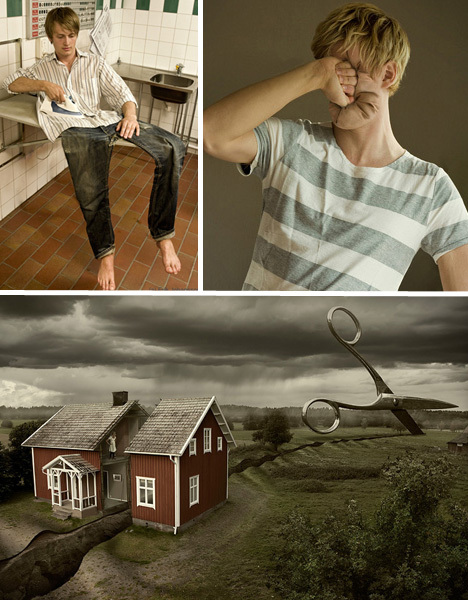 In the Age of Photoshop, few images are surprising anymore – but every now and then, you come across one that makes you do a double take and spend a few moments thinking, “how’d they do that?” Swedish photographer Erik Johansson has a portfolio packed full of such images, blending reality and artificiality together so seamlessly, one wonders whether he’s an artist or a magician. 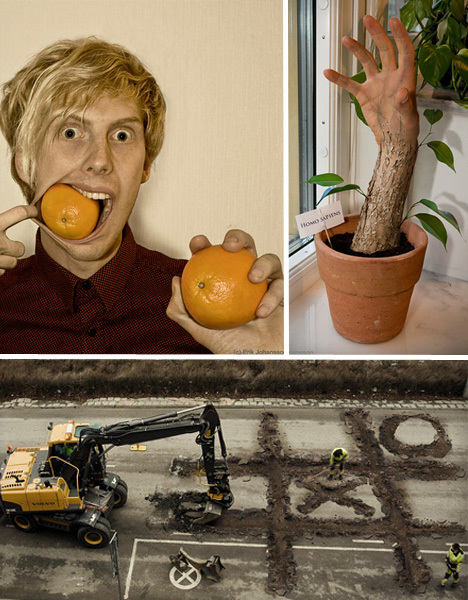 Johansson seems to live in a surreal world where roads unfurl like fabric, giant mirrored objects dangle from the sky, humans spring forth from the soil like potted plants and disturbingly elastic faces pop out of joint to swallow oranges whole. The Swedish artist takes all of his photos himself and manipulates them digitally in Photoshop CS4, spending 10-20 hours on each photo. 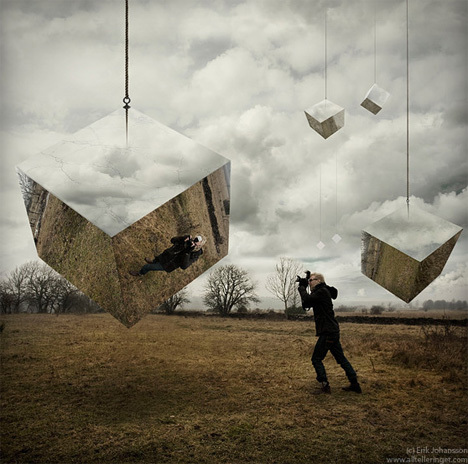 “I got my first digital camera when I turned 15, I did some changes to the photos and thought it was fun. But I really started in 2007 when I bought my first SLR camera. 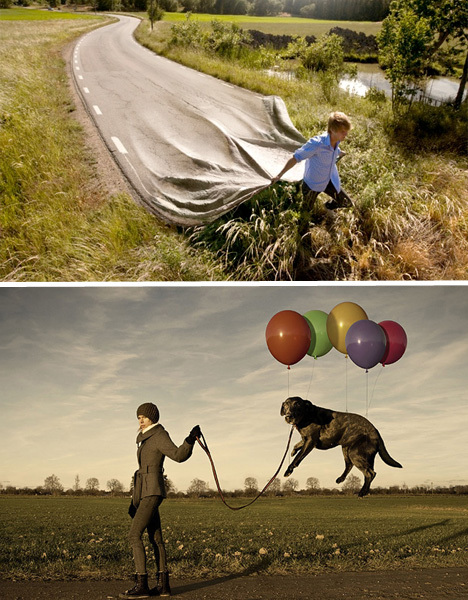 That is when I started to do some serious photo manipulations,” Johansson told Abduzeedo.